Many people, just like you, long to fulfill their dream of running their own home building project. We enjoy sharing what we've learned, including many little-known secrets. This web site is for you, filled with practical design and construction advice. 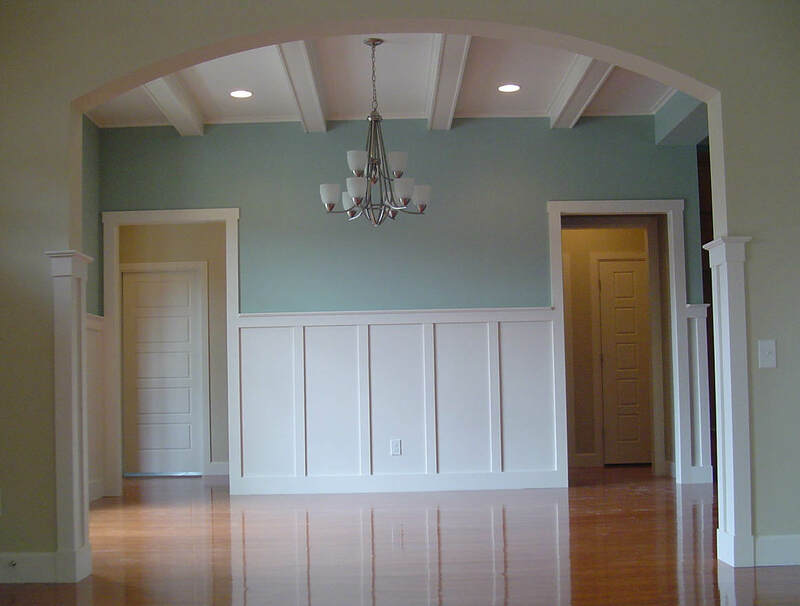 Our background includes years owning a home building company, as well as architecture and interior decorating. When we started our business and began our first spec house, our only experience was having done a small addition to an older house we bought for our family in the late 1980's. Not long into our first real house project, we got really scared, and panicked several times, fearing running out of money or having the whole project fail (neither happened). We'd like to pass on the lessons we learned on all our houses to you, and really wish you all the best! If you're like us starting out, you don't have the experience, knowledge or time to construct a house with your own hands while you hold down a full-time job and family obligations. We explain the process and give advice on managing each phase, suppliers, and subcontractors of the project. One of our favorite houses we designed and built. What's the Secret to Home Building? Spend your energy managing the work of tradesmen who are the experts in their fields, and your passion for the project will stay strong and show through in every detail! You will be much more likely to enjoy the process. Your reward will be a well-built house that you nurtured through its construction, at a lower cost than if you had hired a licensed builder. If you choose to hire a home builder, this web site can still be a resource for you (on what to expect and how to check everyone's work). One of our dining rooms, finished and ready for move-in. Make no mistake - there are hundreds of decisions that you must make, sometimes quickly, and your life will not be normal for several months. You save the profit normally paid to a builder for running your project, but understand that he doesn't get paid for doing nothing (usually). The months of work, phone calls and job site visits must be done by you, if you decide to run the project. But the personal rewards are great. You will get great satisfaction from making your own choices and seeing them built the way you wanted. We all have friends and family who love to tell of the disasters and fights they fell into during their doomed home construction project. DON'T WORRY! There are thousands of home owners who decided to be their own contractor, and had roaring success. We advised our friends Brenda and Cheetah (really his name) through the design and construction of their large, complicated house - the first house they had built. They did a few things with their own hands, but stuck to managing the work of tradesmen, consulting with material suppliers, and keeping a close eye on the schedule, details and money. What a successful project! They enjoyed every step. There's nothing quite like the feeling of building your own home! We appreciate your visiting our site. Spend plenty of time mulling over the content, and come back often! This web site is always expanding! Your house design, the home site, and how you place the house on the site can make it feel more like a home. Look here for practical advice on residential design and planning. You, the owner home builder, need practical advice, tips, and direction as you plan and manage the building of your new home. Look here for practical advice for clearing and preparing the home site, and laying out and pouring the concrete. Check the framing of your new home as it is installed. As your own Home Builder, get practical advice for reviewing the framing and using the best methods. Home building site for those wanting to be their own contractor. This page is the site map for build-my-own-home.com. The Build My Own Home Blog keeps you up-to-date with all additions and changes to the build-my-own-home.com web site. Get practical advice on managing the building of your own home. Checking the plumbing layout in a concrete slab before it is poured is one of the most important things the home builder will do. This page gives practical advice on checking pipes in the slab. Checking over a concrete slab before it is poured is one of the most important things you will do. Here is practical advice on the checking and preparation before the concrete is poured. Learn the basics of checking the wall framing of your new home as it is installed. Get practical advice for reviewing the framing and using the best methods. 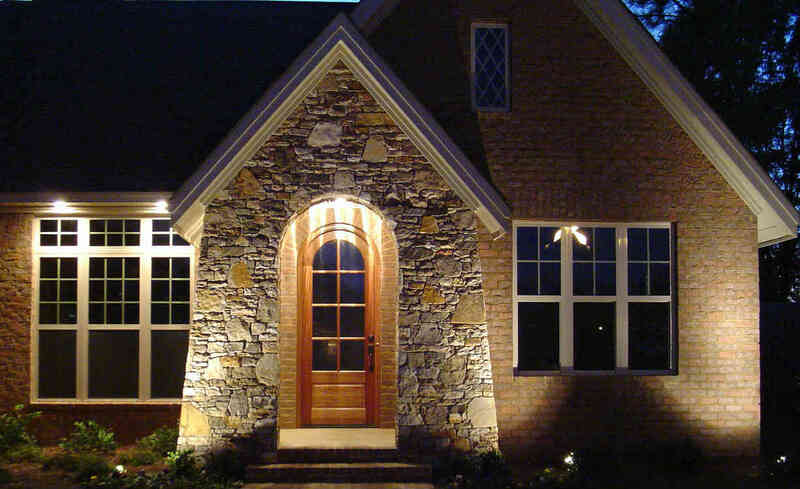 Arches are a challenge to get right, whether for drywall, brick or stone. Prefabricated masonry arch framing makes every job easier and much better. Arch framing is a challenge to get right, whether for drywall, brick and stone. Prefabricated units make every job easier and much better. Have your say about what you just read! Leave us a comment or question in the box below. Vic and Susan Hunt are a husband and wife team with over 10 years experience designing and building homes.